Costs – What are arborists quoting you in Montreal for tree maintenance and removal? Are they including the cost of stump removal? See what we have down from research and compare it before you pay. FAQs – What do you know about the Montreal Tree Policy? Do you know there’s a lot of emerald ash borers in the area? Find out about popular trees in the area before you pick ones to plant. Services – See our list of pros near you and call one today for more information. How Much Do Tree Services Cost in Montreal? With nearly 250,000 trees within its city limits, Montreal, Quebec is a tree-lovers paradise. The city literally changes color, sometimes several times over, each autumn thanks to the many deciduous trees lining its streets, parks and residential property. Many homeowners in Montreal are likely to need the services of an arborist or other tree professional at some point, whether it is for help in pruning trees or removing stumps. While there are many such professionals in the Montreal area, their fees vary considerably depending on their qualifications and the type of work a homeowner is hoping they will perform. Removal of an entire tree costs an average of $500. The cost to remove a stump ranges from $60 to $350 in the city. Factors in the cost include the size of the stump and whether or not the homeowner prefers the stump to be ground down to the surface of the yard or completely removed roots and all. A basic guideline for the total expense is $2 to $3 per inch in diameter of the stump. Homeowners should expect to pay between $150 and $1,500 to have trees pruned or trimmed in Montreal. 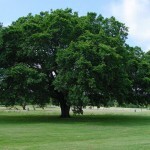 This depends on the size of the tree, how many trees receive service and whether they are easy or difficult to access. Many different varieties of trees make up the beautiful greenery found in Quebec. The City of Montreal emphasizes to its residents that trees are valuable for their roles in purifying the air, providing shade, beautifying the environment and raising property values. City officials point out that an urban tree absorbs up to 10 times more carbon than its rural counterpart. Formulated in 2005, the Montreal Tree Policy is designed to recognize the importance of trees to the local cityscape as well as to the region in general. It makes no distinction between native and non-native tree species—such as the Colorado Spruce, Gingko and Norway Maple, which can be found throughout the city—in terms of most of its regulations. However, the policy does include information urging homeowners to plant indigenous species because native trees attract more wildlife, are better suited to Montreal’s soil and climate and require less maintenance. The policy requires anyone who plans to cut down a tree to obtain a certificate of authorization. Trees may only be removed if they meet certain criteria, including if they are dead, dying, a public safety hazard or are damaging property. Approval also requires a written report from an arborist or other professional recommending that the tree be removed. Homeowners are required to replace any trees they remove. The company Hydro Quebec prohibits trees from being within 9 feet or 3 meters of its utility lines and prohibits any activity, including tree pruning, to occur within that distance as well. The tallest trees in Montreal are cottonwoods while the shortest are Japanese maples.Trees that do not grow particularly well in the city are those that are adapted to warmer climates such as eucalyptus, senna and cassia trees. With the increasing popularity of fruit trees in urban centers, many homeowners wonder if they can expect to grow fruit in Montreal. Fortunately, there are several types of fruit trees that are suited for the city’s climate, including apple, pear, cherry and apricot trees. Nurseries also feature what are called hardy fruit trees, which are bred to withstand Montreal’s cold winters. Many of these trees are capable of surviving in temperatures as low as -52 degrees Fahrenheit. It is possible to prune trees any time during the year in Montreal. However, arborists in the region recommend waiting until December when trees are dormant to do so. This is a period between the time that leaves have fallen and the first hard freeze of the winter. Pruning trees when they are dormant serves to stimulate their growth once they awaken in the spring. There are many reasons to prune a tree, including to prevent it from encroaching on utility lines or into a home as well as for the tree’s health and aesthetic reasons. Removing dead or dying branches is also a way to prevent them from becoming projectiles during windstorms. Arborists and other tree experts urge homeowners to plant trees in the early spring. They suggest finding a spot located far enough from houses and other trees to give them room to grow. Young trees require little care once they take root, and there is usually no need to prune a tree until it is at least three or four years old. In 2008, Montreal officials discovered an invasion of Asian beetles that wreaked havoc on local trees. 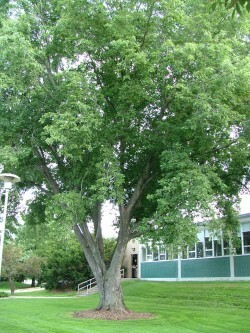 The beetle, known as the emerald ash borer, decimated thousands of ash trees within a few years. The beetle was first observed in Canada in 2002 in Ontario. Experts speculate that it made its way north in firewood being hauled by campers. To combat the beetle, Montreal officials are cutting down infested trees and removing them. They then treat nearby trees by injecting a liquid pesticide that prevents the beetles from reproducing and shortens their lives. To be effective, the process must be repeated every year.